Home Riding Apparel & GearReturn to Previous Page. We’re riders ourselves at Halo Horses, so we know you’re looking for equestrian apparel that’s both fashionable and functional, because what is great form without fashion? 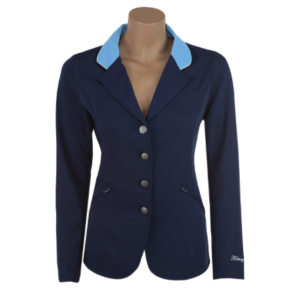 Our wide selection of quality riding apparel includes so much more than just elegant riding boots and designer breeches. From classic show apparel such as the beautiful Asmar Wellington Show Coat or the B Vertigo Tina Soft Shell Show Jacket, to casual riding clothes, to safety products such as the Samshield premium helmet or the Hit-Air Safety Vest, the products you’ll find at Halo Horses are selected from all the top brands. You’ll find quality equestrian clothing and safety equipment from Samshield, Asmar, B Vertigo, Goode Rider, EIS, ELT, Horze Equestrian and more. 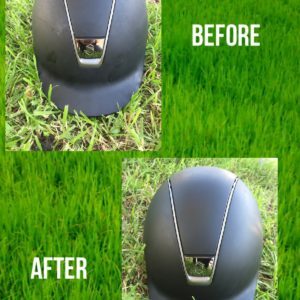 So whether you’re looking for classic English Riding Apparel for the ring, or casual breeches, polo shirts, or sweaters for a ride on the beach, look no further than Halo Horses. If you have any questions at all, please don’t hesitate to call us at 480-748-1669, or email [email protected]. 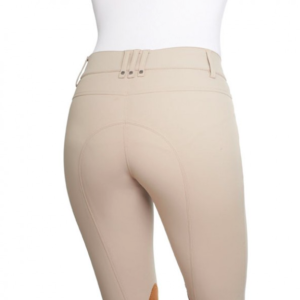 The Fiona breech by Ghodho is a high end classic equestrian breech with a twist. 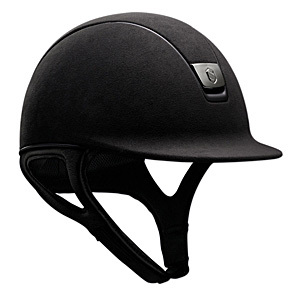 Its design makes it suitable for all three English show rings, the hunters, the equitation, and the jumpers. 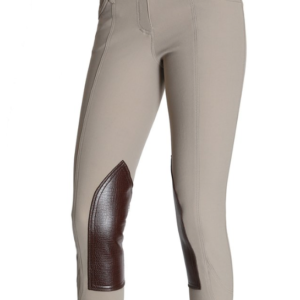 This breech has a perfect show-breech tan color with piping details, curved seaming, faux alligator chestnut colored knee patches, dual button hooks on 2″ wide waistband, matching topstitching, and a soft flexible knit leg cuff for a form fitting feel under your riding boots. 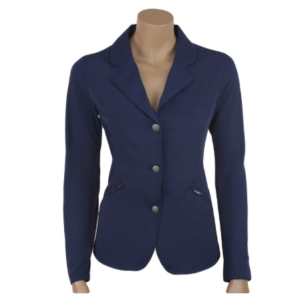 A favorite of equestrians who love the classic show breech style as well as the street to stable style. 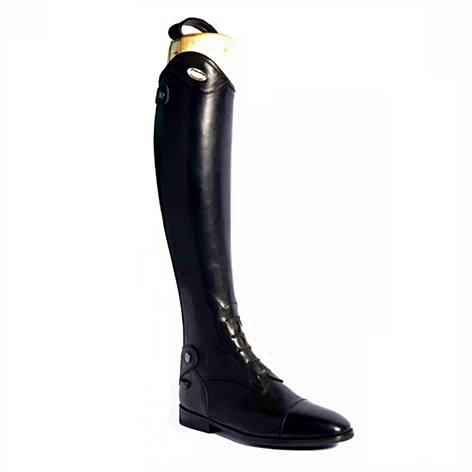 Available at your premium equestrian store Halo Horses Equestrian Boutique. 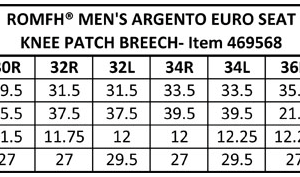 The long-awaited Argento Men’s Breeches are finally available at Halo Horses! The Romfh Argento features a classic Euro Seat style and is made of buttery soft Micro-cotton, which is comfortable and quick fitting. With flat front pockets, flapped back pockets, stretch ankle and Romfh logo embroidery just under the left front pocket. 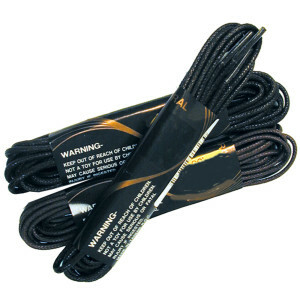 The Intrepid Boot Laces are 54″ black laces. 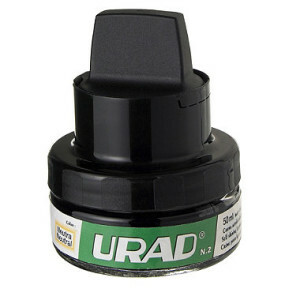 The URAD Boot Polish with Applicator is the best way to get your tall boots show-ring ready! 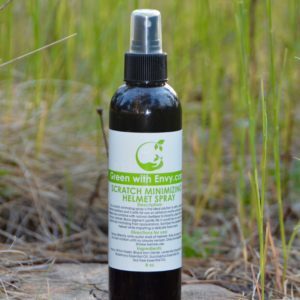 This 1.75oz jar comes with a sponge applicator that allows the rider to instantly shine their boots with a single swipe. No buff needed, yet conditions leather and conceals scuffs and marks with one easy step! This smaller sized jar is perfect for traveling or keeping in a show trunk. 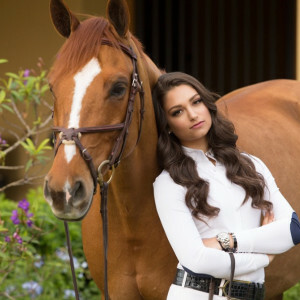 The Sport Horse Lifestyle Hudson Show Shirt is the perfect balance of show-ring sophistication and stable relaxation. When fully buttoned, the Hudson is appropriate show attire for even the most traditional equitation judge. However, the elbow patches and technical fabric leave the rider comfortable and stylish. Available in white. *Navy coming soon*. We recommend sizing up for a truer fit. The Mountain Horse Venezia Field Boots are Mountain Horse’s best fitting boot yet! Revolutionary Prolaze-Flexnotch Technology gives these boots a custom fit at an off-the-rack price. Elastic lacing and an elastic panel give these boots the ideal amount of flex. 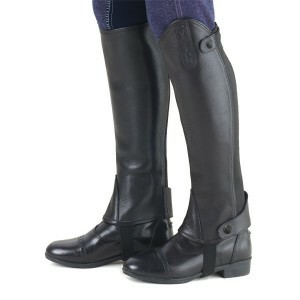 A strong and durable full-length zipper allows the Mountain Horse Venezia Field Boots to be easy to put on. Full grain leather field boots with a pigskin napa lining. The Romfh Competitor Show Shirt is perfect for the hottest show days. 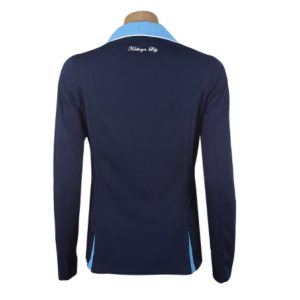 Features custom Cool-touch™ microfiber with Chill-factor™ and breezy micro-sheer mesh panels located discreetly on the bottom side of the sleeves. A crisp woven placket and wrap collar with invisible magnetic snaps give this shirt a classic show-ready look. The Cheata Trotter Tank with built in sports bra will allow you to say goodbye to the sitting trot bounce! The Cheata™ Trotter is the most stable, powerful, and minimizing bra structure. This awesome tank can be worn under a show shirt to make you smaller, sleeker, and smoother. 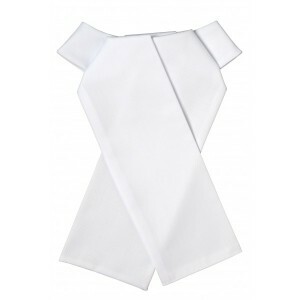 Sports bra closure is a rear downward directional zipper with pull tab. The Cheata Trotter Tank can be worn as an inner foundation piece or alone as a complete garment. 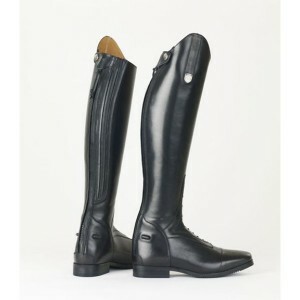 The Ovation Ladies Turin Bianca Half Chaps are beautifully supple, buttery soft, and conform to your leg like a second skin. The elegant overlaid Spanish top with embossed swagger tab adds elegance, while the supple calf panel allows slight stretch for the ultimate in fit and comfort. Made of leather with an elastic side panel. The Romfh® Sarafina Euroseat Breech is a very cool addition to the Romfh® (and Halo Horses) collection! The Romfh Sarafina Euroseat Breech is certainly a breech fit for royalty, and features a comfy mid-rise fit. A flattering contoured waistband, strategically placed back yoke, and wide non-binding fit allows your waist, hips, and other ‘assets’ to look their best! 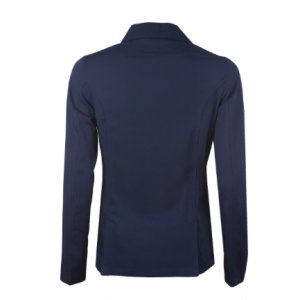 Made of a SoftTouch micro-PU fabric for a super-soft and comfortable technical breech. Regular Length. Machine washable. 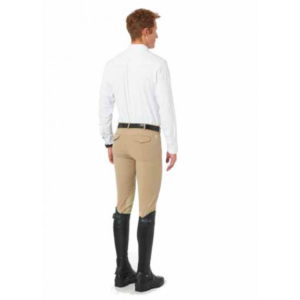 The Ovation Men’s Euroweave Knee Patch Breech is a four pocket men’s breech with hook and loop closure at the ankles. 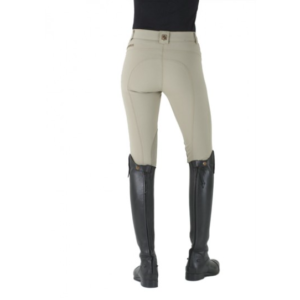 The woven fabric makes for a great fit that is neither clingy nor revealing like traditional knit breeches. Medium light weight. Regular length. The Romfh® International Breech is a very cool addition to the Romfh® (and Halo Horses) collection! 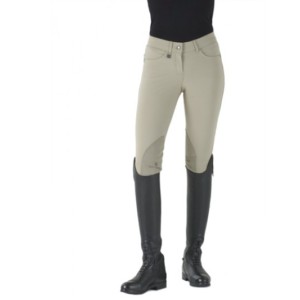 The Romfh International Knee Patch Breech is made with a super light, yet opaque, and stretchy fabric that wraps you in a cool breeze of comfort. The ultra-flattering true-waist fit and ankle length inseam has been described by many to even make you look taller and slimmer! Machine washable. Regular Length.